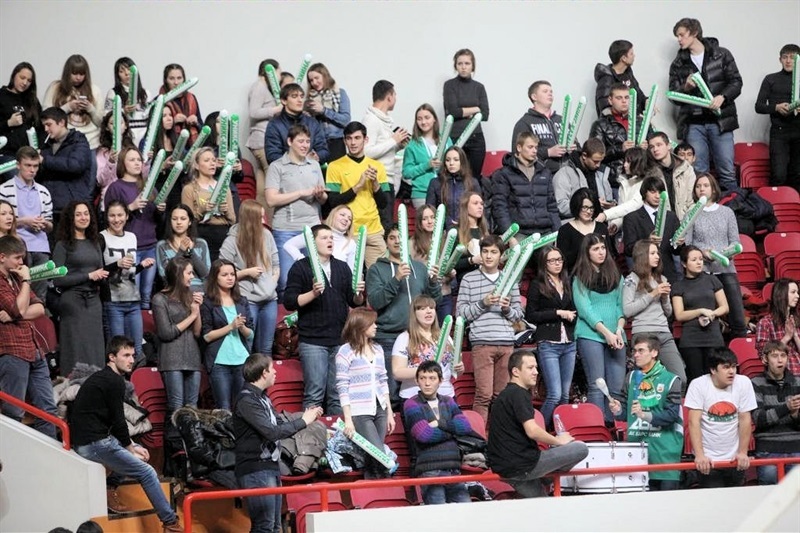 Once again, there was only on team on the court on Wednesday when Unics Kazan defeated VEF Riga at home by 98-51. The game was already decided in the halftime break when the hosts dominated by 38-25 and then came back with an 11-1 in the third period. The win leaves Unics unbeaten at the top of Group G with a 9-0 record. VEF Riga, on the other hand, drops to 4-5 and will have a last chance in Round 10 in a head-to-head duel with Banvit Bandirma in Riga. Unics excelled from beyond the arc with a 15 of 24. Luke Harangody led the winners with 16 points, Andrew Goudelock followed with 15, Pavel Sergeev nailed 14 (including 4 of 4 threes) and Ian Vougioukas had also 14. 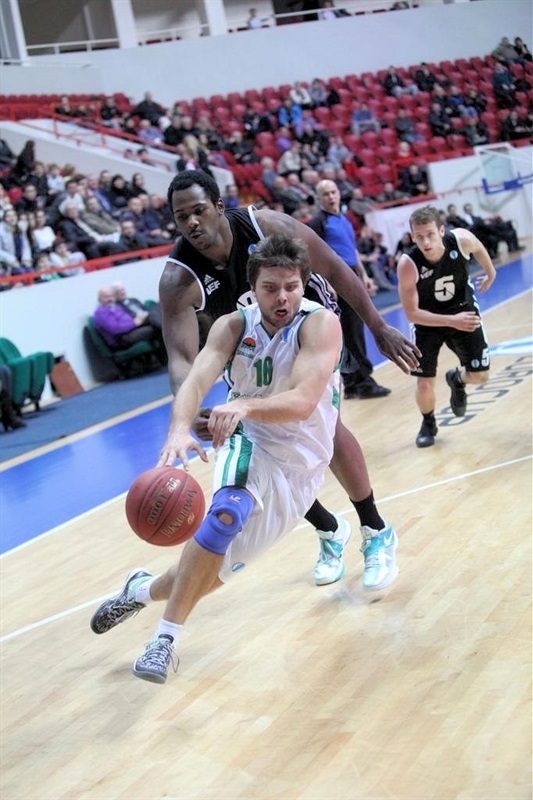 Chuck Eidson contributed 11 for Unics. 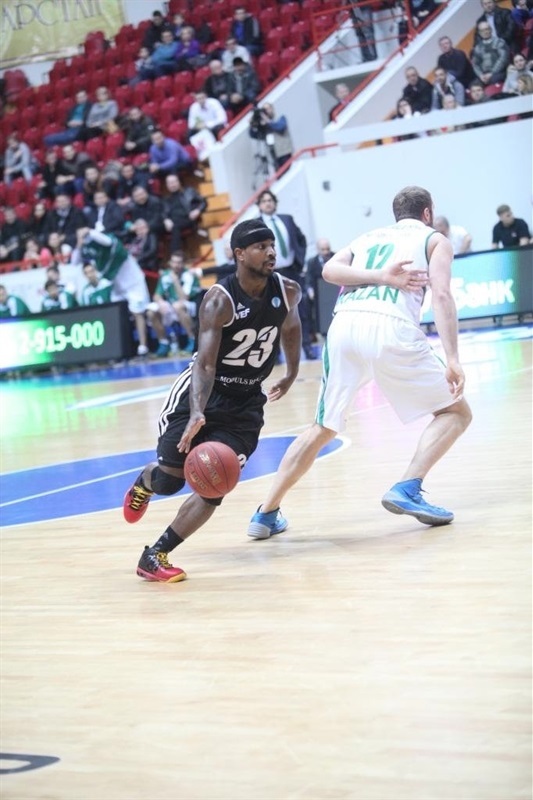 For VEF Riga, Antywane Robinson and Kenan Bajramovic led the way with 11 points apiece and Dee Brown added 10. Unics Kazan started the game like a steamroller with an early 6-0 run. VEF Riga needed still a little more time to get the ball rolling and Ian Vogioukas scored for 11-2. 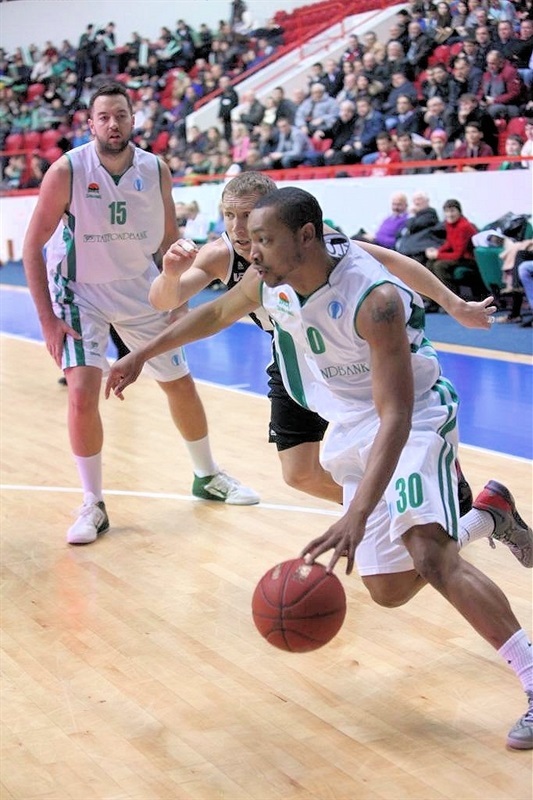 However, Antywane Robinson stepped up for the guests and soon VEF Riga came back to the game, 15-13 after the 4-11 burst. The first quarter ended with Unics recovering a little for a 19-13 after 10 minutes. The hosts continued in the second period with a starting 10-0 boosted by two threes by Andrew Goudelock. With the lead again up to double digits, Unics could play more comfortably and was controlling the defensive rebound with nor problems. A three-point play by Janis Berzins allowed VEF Riga to stay alive, and Arturs Strelnieks added a bucket to make it 38-25 at the break. 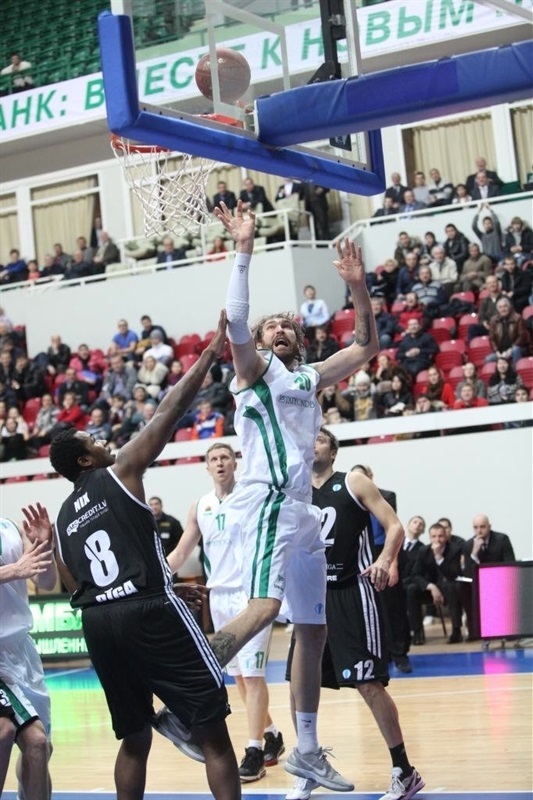 Unics started the third period with an 11-1 burst, 49-26, but despite the blow, VEF stood to its feet to fight. Nikos Zisis and Goudelock buried new threes however, and made it even worse for the guests, 63-34. VEF Riga was stuck at 1 of 15 threes and Goudelock by himself was at 5-for-5. With a 68-43 after three quarters, VEF Riga would need a miracle to survive. But it didn't happen. In fact, Unics stepped the accelerator even deeper and blasted a 30-8 partial score in the last period that put an end to a game without history. "I just reminded my players before the match that we are true professionals. 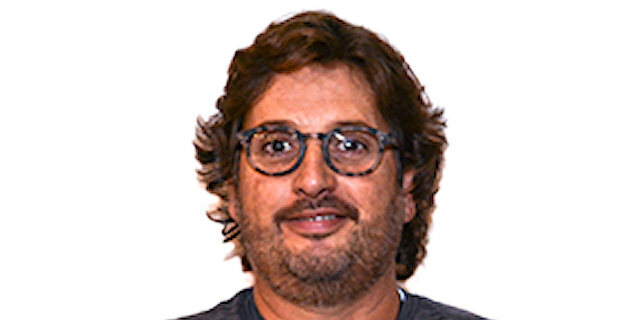 True professionals means they are supposed to show their best and play to win in every game, no matter if it is very important or not so decisive. We booked first place in our group in advance, but it didn’t mean at all that we could have done it with one leg in this game. The players understood and therefore we had a good game. They played all 40 minutes and I enjoyed the chance to give practice to all my players." 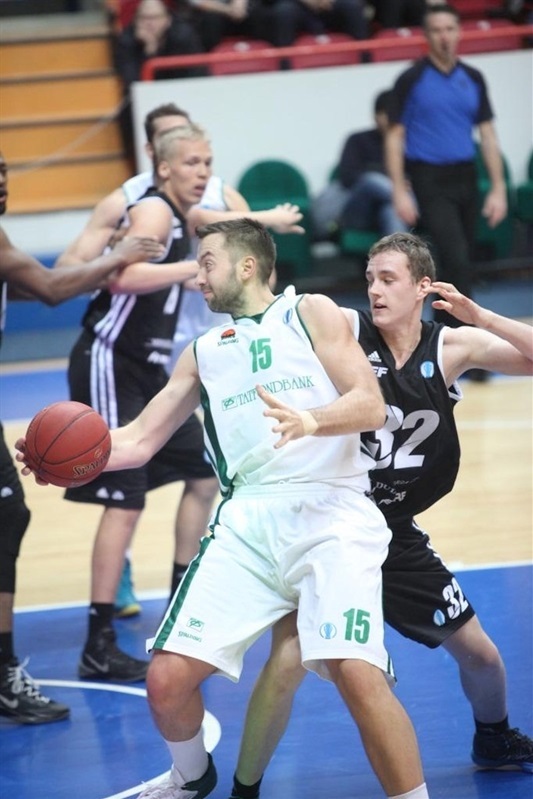 "Unics is a very strong opponent, which is very difficult to play. Unics plays intelligent basketball, and that makes them even stronger, much more difficult to compete with. I guess my players did not believe in their chances of success against such a high-level team today and that was one of the reasons why we have lost the match."